CHICAGO – Anticipating the launch of its new “National School Library Standards,” the American Association of School Librarians (AASL) will conduct its first standards-related Twitter chat at 6:00 p.m. Central on Mon., Sept. 18. The chat will be facilitated by members of the standards implementation task force and social media editorial board. Those wishing to participate can follow the hashtag #AASLstandards. 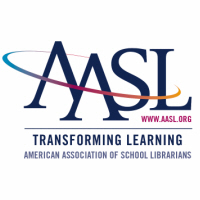 The new “National School Library Standards” will officially launch at the AASL National Conference & Exhibition taking place this fall in Phoenix, Arizona. Events celebrating the launch include preconferences, a dedicated general session, the Unconference and multiple opportunities to attend concurrent sessions. Conference attendees can pre-order their copy of the publication through Oct.12 and pick-up onsite. Additional Twitter chats will be scheduled to build community around the new standards and to assist with implementation.